Leh – Rumbhak – Nubra Valley – Pangong Lake – Hanle – Leh. Arrival at Leh airport and transferred to the Hotel. Complete day for acclimatization. Evening visit to Shanti Stupa & Leh Market. O/N Leh. In the morning after breakfast drive to Hanle, on the way cross Chushul Village and Tsaga La (15,200 Ft), Hanle, is home to the Indian Astronomical Observatory. The location of the village and the observatory are highly sensitive due to the close proximity of the Tibetan / Chinese border, India set up the Himalayan Chandra Telescope, a 2m gamma ray telescope, here. Once complete, the Major Atmospheric Cerenkov Experiment Telescope gamma ray telescope under construction here, will be the world's largest telescope at the highest altitude and the second largest gamma ray telescope in the world. 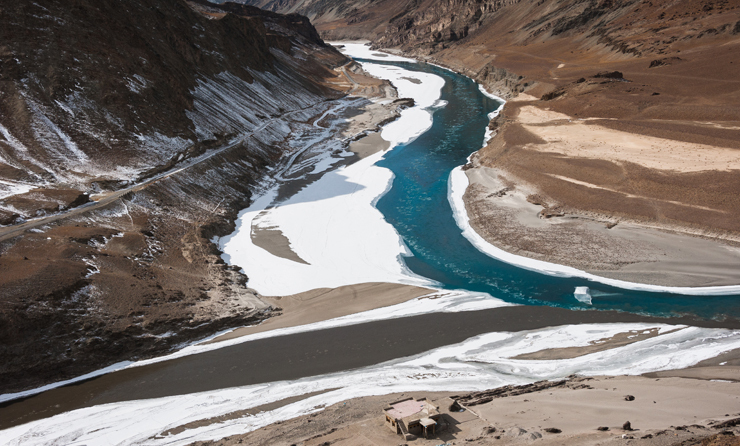 As per history, it is believed that King Singge Namgyal died here at Hanle while on his return from an expedition on Mongols. Enjoy the stay with locals at local guest house. O/N Hanle. Accommodation on Triple, Twin and Single Occupancy basis as per above selected tour quote plan.